Once in a blue moon you come across entities that make you see beyond what you thought was visible. Ever so rarely, we come across a piece of art that makes us think beyond our mortal capacity. I’ve been lucky to discover a few of these gems across the worlds of literature, music and cinema. 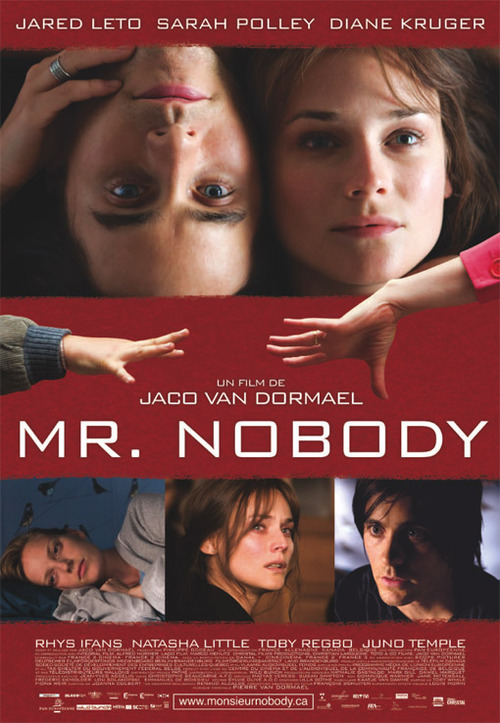 Today I pick out one of them from the latter – JacoVan Dormael’s masterpiece, Mr Nobody. Like I’ve mentioned before, the editing by Matyas Veress and Susan Shipton is exceptional. Every scene is like a movie in itself yet the whole picture seems to fit in like a beautiful puzzle. Pierre Van Dormael does his part as the composer with perfection. A minimalist yet melodious score is exactly what the doctor ordered for this film. And the direction, well, few films that I’ve seen have offered such a visual treat and cerebral and emotional satisfaction as Mr Nobody. A well deserved 9.5 out of 10 from me. « Should You Watch (500) Days Of Summer?